18 LISTS Food AbominationsLists of insane foods people actually eat—but YOU should not—because they are way too decadent or just downright disgusting. List Rules Vote up the nastiest fast food menu items you're happy to learn were total failures. Sometimes new fast food menu items can be fun. Just think back to the days when Burger King started offering $2 Hershey's chocolate cream pies, or when Taco Bell came out with their explosive Volcano Taco! Alas, fast food is not always the graceful home of innovation. Some new menu items clearly demonstrate that when it comes to "new fast food," the boundaries may have already been reached, with some gross fast food items lasting only a week on the menu. Leafing through the fast food history books, one finds that for every stuffed crust pizza success, there is a cream cheese-and-meatball stuffed-crust failure. Sometimes these major chains didn't understand their audience, didn't get what was going on in the world, or just forgot what tastes good. Take a look at these fast food items that failed and see some of the weirdest creations fast food chains around the world have dished out over the years. In the 1960s, McDonald's hoped to lure in Catholics that couldn't eat meat on Fridays with this very bizarre creation. The Hula Burger was a regular cheeseburger, only the actual burger patty was replaced with a pineapple slice. It turns out you can't just put a slice of pineapple on a bun with some cheese and ketchup and expect anyone to buy it. Indeed, barely anyone did. This menu item sounds more like the name of a Southern California punk band than anything you would actually want to eat. 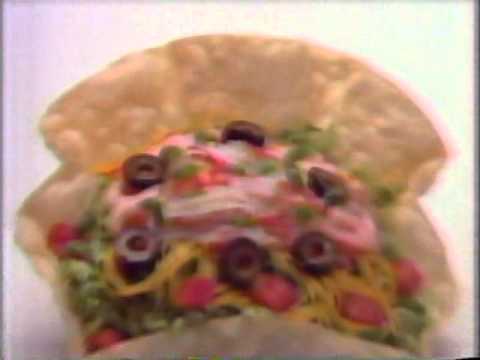 Taco Bell tried to take on the Filet-O-Fish in the '80s with this monstrosity containing crab, whitefish, and shrimp. Not even in the '80s were people wild enough to trust Taco Bell with their seafood. In 1991, McDonald's tried to do diet-friendly food with the McLean Deluxe. It was marketed as being 91 percent fat-free. Apparently, the only way McDonald's could make an almost fat-free burger was to inject it with water and seaweed. Does this need further elaboration? 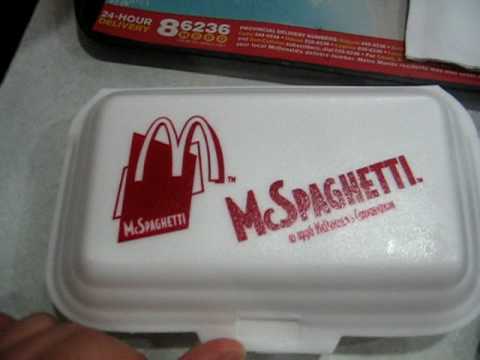 As if Olive Garden wasn't enough of an insult to Italian food, McDonald's had to go and make the McSpaghetti. This was part of the McDonald's dinner menu, born of the establishment's inability to accept its identity as a cheap fast-food place unfit for such sophistication. Since its blatant failure in America, this way-sweet spaghetti is now only served in the Philippines, where they serve it with fried chicken.